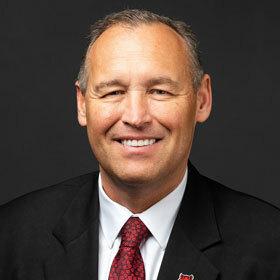 At the end of this week the A-State community will welcome the new chancellor, Dr. Kelly R. Damphousse, and his wife Beth to Jonesboro and the historic Chancellor's Residence. Damphousse comes from the University of Oklahoma, where the sociologist most recently was dean of the College of Arts and Sciences. He officially takes office July 1, exactly 50 years to the day after Arkansas State College attained university status in 1967. 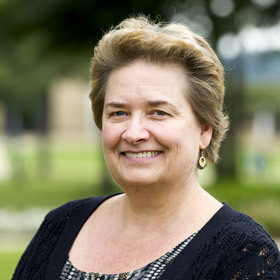 Dr. Julie Grady, associate professor of teacher education, is director of a project funded through a $59,075 grant from the Arkansas Department of Higher Education. As part of "Inspiring Early Mathematics Learning in Northcentral and Northeast Arkansas," she led a workshop for elementary and secondary teachers, and it was featured in The Jonesboro Sun. 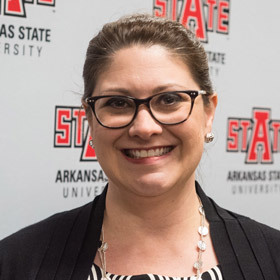 Instructors from A-State included Dr. Amanda Lambertus, Dr. Lisa Rice and Tahnya Price. 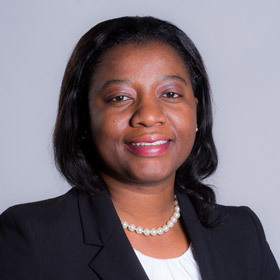 Articles by Dr. Dinah Tetteh, assistant professor of communication studies, have been published in research journals. In "I Feel Different: Ovarian Cancer and Sexual Self-Concept," published in Women's Reproductive Health, she discusses effects of ovarian treatments on women's perceptions of sexual self-concept. In the second article, in Global Health Promotion, she and her co-author explain the potential of health impact assessment (HIA) in addressing health, environmental and social impacts of e-waste in sub-Saharan Africa. Congratulations to Dr. Marti Allen, director, ASU Museum, and her staff for submitting a successful grant application to the Carl B. & Florence E. King Foundation. The foundation awarded a $43,490 grant that will enable the museum to continue its membership in the Arkansas Discovery Network. The network provides changing hands-on exhibits especially appealing to young visitors, including the 1,000-plus who attended TinkerFest last Saturday. Jennifer Salo, Honors College, was named the Outstanding Part-Time Employee during the recent Distinguished Performance Awards ceremony. 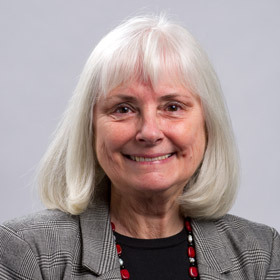 Two years ago she began assisting outstanding students with pursuing nationally prestigious and competitive fellowships and scholarships for research, graduate studies and study abroad. Her outreach and mentorship paid off big this year, as three students were offered Fulbright grants for 2017-18, the first in A-State history.